Fitbit, maker of consumer activity trackers and fitness products, has dramatically increased its R&D budget over the last three years as it prepares to shift into medical-grade technology. Company CEO James Park told Bloomberg that M&A and consultation with regulators are important parts of Fitbit’s strategy to diversify. The digitalization of healthcare, though still in its very early stages, is regarded by many to be the inevitable next step to drive down costs and move towards value-based, preventative care — especially in the treatment of patients with chronic illnesses, such as heart disease and diabetes — according to Chilmark analysts. 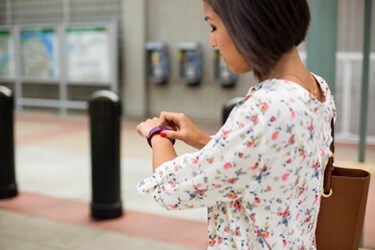 “Wearables are being seen as an extension of the digital transformation of healthcare, helping pharmaceutical companies to expand clinical trials, enabling insurance companies to engage with customers by incentivizing healthier living, and helping healthcare providers to improve the delivery of healthcare,” said Aditya Kaul, research director at Tractica, which projects $17.8 billion in annual sales for healthcare wearables by 2021. “We’re not there yet, but we think five to 10 years down the line, the power of these devices to help consumers, health-care providers, the whole healthcare ecosystem track and give diagnoses to people — I think it’s incredibly tantalizing,” said Park. Not all health and wellness device developers are as enthusiastic about entering the medical arena, and The Verge reported that many in the tech industry are working to design products and control marketing so that their businesses do not face FDA scrutiny. Other analysts argue that the additional investments may be worth it if the FDA approval can provide a competitive edge in an increasingly crowded market. Fitbit’s Park told Bloomberg that his company is already working with FDA regulators. “We want to work together with government to find the right balance,” he said, adding that M&A with companies experienced with medical-grade technology would also be an important part of Fitbit’s strategy moving forward. As competition intensifies, consumer electronics giants like Apple and Samsung are ramping up efforts to set their consumer health technology apart from competition by improving sensor accuracy and versatility. Recently filed patents suggest the next generation Apple Watch will also work as an emergency alert system. Samsung’s BioProcessor chip incorporates five different sensors to monitor vitals, such as heart rate, skin temperature, and sweat.